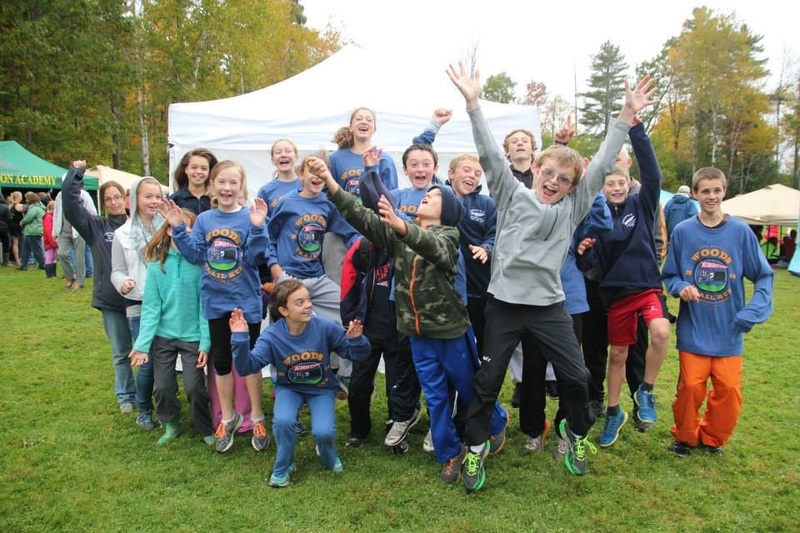 The Deerfield boys won the prestigious 2014 Thetford Vermont Woods Trail Run for the second straight year. 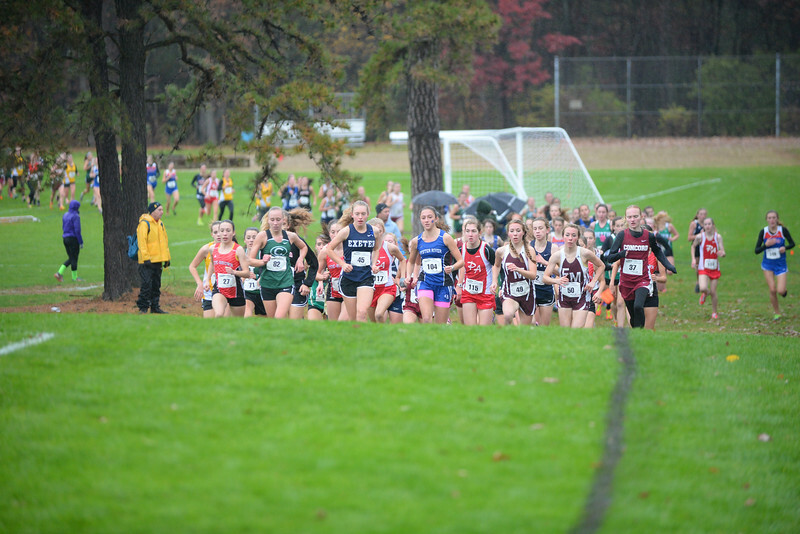 The Junior High course is the first rolling 2700 meters of the high school 5K course. They were once again led to victory by Forest MacKenzie’s first place finish in 9:29. MacKenzie won the Manchester Invitational last week and the Black Bear Invitational two weeks earlier leading the defending State Champions to big wins. Issac Kaplan of Randolph Vt. placed second 9:33 just ahead of last week’s Manchester Invitational runner-up, Deerfield’s Ryan Devine 3rd 9:37. Colby Bergeron of BFA Fairfax 4th 9:43 and David Cook 5th 9:53 all broke the 10 minute barrier. A pair of Hampton NH Academy runners Slad Laszewski 6th 10:11 and Matt Fiorentini 7th turned in fine performances to lead their team to a respectful second place finish for the second year in a row. Woodstock’s Ben Marsicovetere 8th 10:12 and Bellows Falls Ian Wallace 9th 10:12 finished just in front of Hampton Academy’s Noah Taracena 10th 10:13. Other NH notables: Hampton Academy’s Nick Hepburn 13th 10:17, Deerfield brothers Brett Richards 15th 10:20 and Brandon Richards 16th 10:24, John Murphy, Deerfield 23rd 10:41, Daniel Giacalone, Hampton Academy 24th 10:42, Devin Eaton Hampton Academy 28th 10:54 and Deerfield’s Maguire Gray 35th 11:03. Deerfield captured the team title with 38 points. Hampton Academy 2nd scored 58 points easily out distancing themselves from Stowe Vt. 3rd 128 points and Bellows Falls 4th 130 points. Deerfield’s top 5 runners averaged a time of 9:57 breaking last year’s record setting performance of 10:01. On the girls side Hampton Academy won for the second straight year, upending Deerfield again in a hard fought battle. 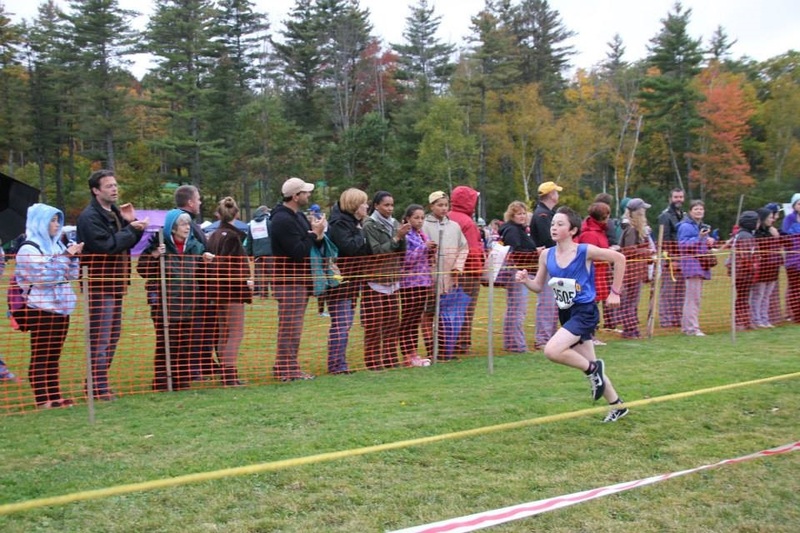 Individually NH Homeschool 7th grader Caroline Fisher dominated the field winning in a course record time of 9:58. 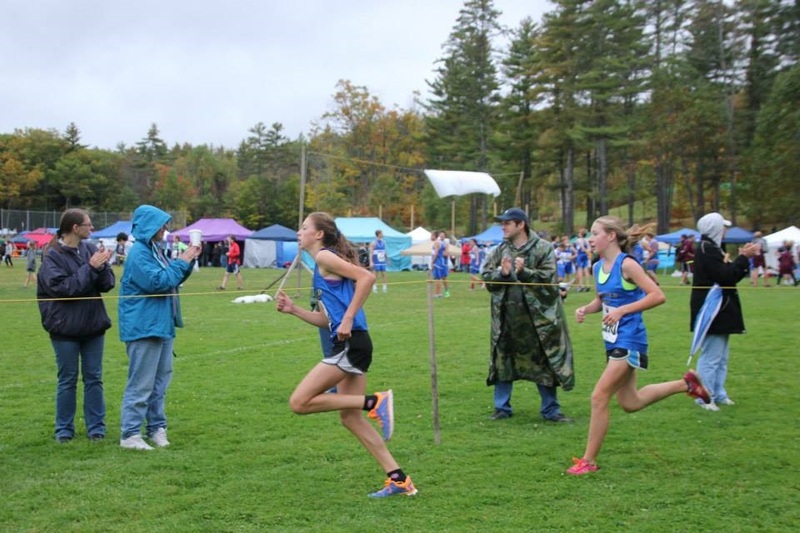 Fisher won by 40 seconds over Camille Bolduc 2nd 10:38 of Good Shepherd, Rutland’s Noelle Abeyta 3rd 10:49, Bellows Falls Lia Clark 4th 10:50, Good Shepherd’s Neva Bostic 5th 10:58 and Hampton Academy’s Annie Rademacher 6th 10:59 all broke 11 minutes on the challenging course. Lella Trummel of Norwich 7th 11:00, Mills Waddell Hampton Academy 8th 11:05, Maya Humbert of Northfield 9th 11:09 and Deerfield’s Sarah Zarakotas rounded out the top ten in 11:10. Other NH Notables: Serena Britos, Deerfield 14th 11:18, Piper Kilgore Deerfield 15th 11:18, Brooke Gousie, Hampton Academy 17th 11:28, Deerfield’s Samantha Lemay 35th 11:57 and Julia Fifield 36th 11:58. Hampton Academy’s Sarah Walsh 12:03 and Molly Conner 41st 12:07. Deerfield’s Chloe Gross 44th 12:15. Deerfield’s Lily Fifield 78th 13:18. Hampton Academy won with a team score of 72 points, to Deerfield’s 79 points, Good Shepherd 3rd 92 points, and Bellows Falls 4th 104 points.